To say that Botox is a popular esthetic treatment is a vast understatement. Over 21 years has past since the introduction of botulinum toxin A injections (Botox) have been used for the unsightly frown lines between the eyes and smoothing of facial wrinkles. Botox treatments are the most commonly preformed minimally invasive cosmetic procedure in North America. There were nearly 2.5 million cosmetic procedures done with Botox in 2008 according to The American Society of Aesthetic Plastic Surgery. Women accounted for 92% of the total cosmetic procedures done. 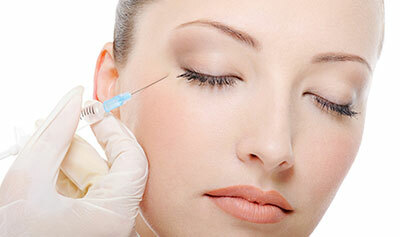 Botox cosmetic procedures accounted for 24% of all cosmetic procedures done in 2008. The safety records of Botox treatment is nearly unparalleled by just about any other delivered medication on the market. Botox is a trade name for botulinum toxin, which comes in the form of a purified protein. Botulinum toxin A is the most commonly used form with a few thousand articles supporting its use in scientific and medical literature. The mechanism of action for botulinum toxin A is really quite simple. It is injected into the facial muscles and, within a few hours, it attaches itself to the nerve endings of the motor muscles, thereby affecting the nerve transmission to these muscles. It takes anywhere from two to ten days to block the nerve transmitters which innervate the muscles where it was injected. There is no loss of sensory feeling at all during the time that botulinum toxin A is effective. Once these motor nerve endings are interrupted, the muscles cannot contract. When the muscle does not contract, the dynamic motion that causes wrinkles in the skin will then cease. The only reason there are wrinkles in the skin in the first place is because the muscle is moving underneath it, thereby these are called dynamic wrinkles. Approximately three to ten days after treatment, the skin above these motor muscles becomes nice and smooth. The effects of Botox lasts approximately three to four months depending on various factors including the amount of botulinum toxin A injected, metabolic activity of the patient and lifestyle choices, which may cause the Botox treatment not to last as long. When the patient sees the wrinkles reappear, the patient needs retreatment. The most common uses for Botox is smoothing of the facial wrinkles of the forehead, between the eyes (glabellar region) and around the corners of the eyes (crow’s feet). These are the most common cosmetic uses that have put Botox on the esthetic map. Now that approximately 7% to 8% of dentists (and growing) in North America are now providing Botox treatment to patients for cosmetic treatment, there are other innovative uses being found for Botox in dentistry. Most dentists are not aware of the substantial benefits that Botox has as an adjunctive therapy in dental and cosmetic treatment. Botox has useful clinical uses as an adjunct in TMJ and bruxism cases, even more so for patients with moderate chronic temporomandibular joint and facial pain. Botox is a muscle relaxer and when given in typically half the dosage used for facial wrinkle smoothing treatment, it can greatly reduce the intensity of the muscle contractions that contribute to TMJ and facial pain and give the patient significant relief. We have all had TMJ patients that have gotten the bruxism appliances, have done full mouth reconstructions, and are still at wits end at trying to find the right answer that will help them with their facial pain. Botox can play a very important role in reducing or eliminating their facial pain. Botox is often used in conjunction with dermal filler therapy as a non-surgical alternative to high lip line cases. The treatment that most dentists have been trained to deliver to these patients would be some kind of periodontal flap surgery with significant osseous reduction through a crown lengthening procedure in order to be able to raise the gingival height to meet the lip line. The patient would then require crown and bridge therapy to better establish the dental esthetics. Every dentist knows how aggressive that treatment would be. I would venture to say that few dentists themselves would, if they were the patients, want to proceed with that kind of aggressive treatment, yet this is what we offer to our patients. With some Botox therapy and lip augmentation with dermal fillers, the muscles surrounding the lip are weakened so they cannot raise the lip as high as before. This has to be done carefully so that the patient maintains full lip competency allowing them to go about their normal activities such as speaking, smiling, puckering, and eating. When done correctly, the patient is not able to raise her lip as high as before to show the gingiva on the left side, but still has the full ability to speak, chew and kiss. Questions? Ready to Schedule a Botox Consultation in Harleysville Dentistry? If you have questions about Botox, or if you are ready to begin your treatment, please contact us today to request an initial consultation. We look forward to helping you restore your smile!